This scholarship is valued at $1000 and was established in memory of Larry and Olga Andrusiw both of whom appreciated the role that paramedics play in delivering quality emergency health care and who also valued the importance of paramedic education and training. 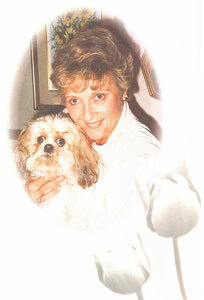 This page is sponsored by the Olga Andrusiw Estate in memory of her legacy. Complete this on-line form and submit. If selected, you may be asked for documentation to support the data you provide. Likewise, all correspondence and award agreements will be generated from the personal information submitted below. So, please use proper spelling, capitalization and punctuation. Your essay should be 500-1000 words. You should address in your essay: Explain what you have done to make your community a better place to live. Give examples of specific projects in which you have been involved. Why is it important to you to take an active role in your community and how this may affect your future role as a Paramedic?